Thomas Tuchel believes PSG’s defeat at Liverpool in their first Champions League match of the season will stand them in good stead when they lock horns with Manchester United on Tuesday evening. A last-gasp Roberto Firmino strike earned Jurgen Klopp’s side a 3-2 win at Anfield back in September, though both sides went on to advance to the knockout stages. Tuchel admits his PSG side face a far harder test against United than they did when the draw was first made and has paid Ole Gunnar Solskjaer’s side a huge compliment heading into the game. However, Tuchel did say some things about his side have changed – particularly in terms of maturity since their setback at Anfield which, he believes, actually helped their cause. 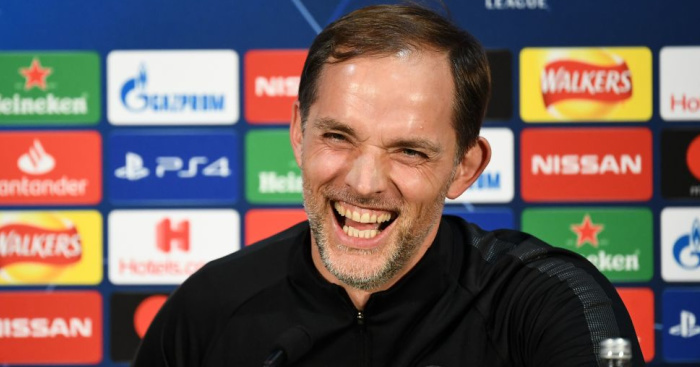 “Absolutely, otherwise we wouldn’t have been able to draw the game against Napoli under a lot of pressure, nor beat Liverpool in what was a decisive game for us,” Tuchel said when asked if losing to Liverpool helped.